Despite admirable efforts to connect battlefields to the larger history of the Civil War, the one thing that battlefields can teach very well is the history of what happened in a particular place. If the goal is simply to inspire thoughts about the larger social history of the Civil War, one battlefield is pretty much the same as the next — and it becomes difficult to explain why we need to preserve so many of them, and with so much land taken off the tax rolls. If the goal is to make people passionate about battlefields and their preservation, visitors need to engage with the actual place to understand its strategic importance and the tactical back-and-forth. I would argue that visitors need to get the strategic importance and tactical back-and-forth because they have intrinsic importance, not just because they inspire respect for preservation. I seem to run across more discussions about how to effectively integrate non-military subjects into battlefield interpretation than about how to effectively interpret the battlefield itself. Don’t get me wrong—I’m glad that battlefield interpretation is more well-rounded and contextualized than it used to be. We rightly emphasize the fact that the battles didn’t happen in a vacuum, but that insight cuts both ways. Just as the war’s larger issues determined the conflict, the “tactical back-and-forth” determined the resolution of those larger issues. Emancipation, Union, and all the rest of it ultimately hinged on the stuff of old-fashioned military history: maneuver, terrain, firepower, etc. We preserve these places not only because people suffered and died there, but also because what happened there mattered. 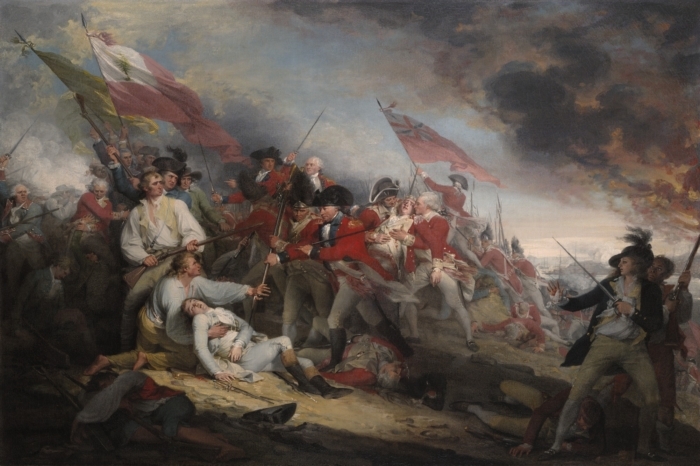 It mattered that such-and-such a colonel held a particular position, that such-and-such a general flanked an enemy. Determining the outcome of larger questions, after all, is why battles tend to be fought. What’s lower than swiping artifacts? Desecrating graves in order to get them. Two Waynesboro, Ga., men were charged Monday in a Burke County grave robbery in which the remains of an infant casket and the corpses of five Confederate and Revolutionary War soldiers were dug up. Jerry Atkinson, 39, and Ralph Hillis Jr. could face up to five years in prison if convicted of the seldom-used felony charge of malicious removal of the dead from a grave. The charges were filed by the Burke County Sheriff’s Office. Hillis, who goes by the nickname “Bubba,” was in custody in Richmond County on Monday night, but Atkinson remained at large, said Burke County Sheriff Greg Coursey. These guys are also facing meth-related charges. More on this awful story here and here. This isn’t really a major news item, but it hits pretty close to home for me. Somebody apparently tried to steal the state historical marker for Harrow School in Cumberland Gap. Rev. A.A. Myers founded the school as one of the Appalachian missionary efforts that sprang up throughout the region in the late nineteenth century. Harrow eventually expanded to become Lincoln Memorial University. 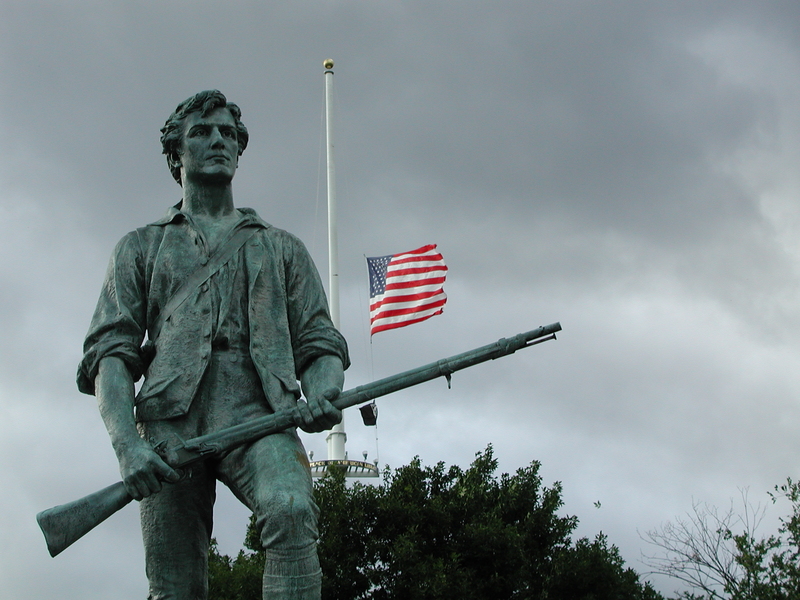 Nathaniel Philbrick’s Bunker Hill: A City, a Siege, a Revolution hits bookstores in a week. Thanks to the fine folks at Viking Press, one lucky reader of this blog will win a free copy. Pay attention, kids. Here’s how this works. If you want to enter, pick a number between 1 and 1,775. Then e-mail it to me (mlynch5396@hotmail.com) no later than 10:00 P.M. EST on May 5. Use “Bunker Hill Giveaway” as the subject line. When the deadline passes, I’ll use Random.org to generate a completely random number. The reader whose number comes closest to the one selected by the website wins the book. If two or more readers pick the same winning number, I’ll have them each select new numbers, and the website will then generate another figure for the tie-breaker. Only one entry per person, please. Last thing I want is my inbox getting swamped by a zillion e-mails from the same person. Once a winner is selected, I’ll contact him or her via e-mail to get a shipping address so the publisher can send the book. That’s it. Good luck, folks. You may submit your entries startiiiiiiinnnnnggggg…now. I asked the students in my introductory Lincoln course to write an essay on Lincoln’s use of presidential power. I told them to decide whether Lincoln abused his authority and overstepped the Constitution, whether he was too timid, or whether he used his power judiciously, and to defend their answer in a short paper. Although I assured the class that there was no “right” answer to the question, and that they were free to excoriate Lincoln as harshly as they wanted, the results came back overwhelmingly in his favor. Of some two dozen students, only three found his use of power excessive. The rest of the class generally agreed that Lincoln acted properly, given the circumstances he faced. Interestingly, though, the two groups defended their positions quite differently. The students who argued that Lincoln assumed too much presidential power cited specific passages of the Constitution to make their case. Lincoln’s suspension of habeas corpus, in particular, came in for criticism. As these students noted, the Constitution permits such an act “when in Cases of Rebellion or Invasion the public Safety may require it,” but this passage is found in the article dealing with powers of Congress. The legality of a presidential suspension of habeas corpus while the legislature was out of session was therefore a matter of controversy during the Civil War, and it remains so today. 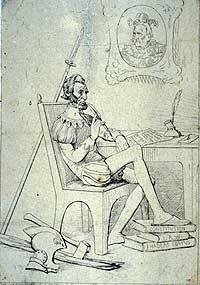 Adalbert Volck depicted Lincoln as Don Quixote with his foot on the Constitution in this 1861 etching. Image from the National Portrait Gallery, Smithsonian Institution. The students who defended Lincoln, by and large, did not try to cite law and precedent to demonstrate that his actions were legal. Instead, they argued from necessity. Rebellion on the scale of the Civil War was something no other president had faced, and most students felt he had no choice but to act as he did in order to preserve the Union. A few of the students who defended Lincoln did find him a bit too hesitant in one respect; they wished he had issued his emancipation decree sooner. But they also noted that their preferences in timing weren’t necessarily practical, and agreed that Lincoln had good reasons for waiting as long as he did. Lincoln thus hedged his rhetorical bets in his message to Congress. He made a case for the constitutionality of his actions, and if that failed to convince his critics, he asked whether they preferred to see one law stretched and the Constitution saved or watch the whole Constitution tossed aside by the rebellion while the Union’s hands remained tied. If my students’ essays are any indication, many modern Americans will support leaders who use extraordinary means so long as they believe the ends are worthwhile. Resilient folks, those Bay Staters. I went to a bookstore yesterday and found a volume in the history section that seemed—to put it mildly—a bit out-of-place. It was Our Occulted History: Do the Global Elite Conceal Ancient Aliens? by Jim Marrs. I didn’t have time to read the whole thing, of course, but the gist of it seemed to be that, yes, the global elite do indeed conceal ancient aliens. And I wouldn’t put it past them; it’s just the sort of thing that darned global elite would do. That, my friends, is a stroke of genius. It might be the single most effective defense of a historical thesis I’ve ever heard, because it’s impossible to refute. They might attack your sources, challenge your interpretation, or question your credentials, but try as they might, they can’t deny that no matter how ludicrous your proposition may be, just a few hundred years ago the concept that the earth revolved around the sun sounded unbelievable, too. Try it for yourself. It works with any historical assertion. Tens of thousands of black soldiers fought for the Confederacy. Sound unbelievable? Just a few hundred years ago, so was the concept that the earth revolved around the sun. Rutherford B. Hayes was impervious to bullets. Sound unbelievable? Just a few hundred years ago, so was the concept that the earth revolved around the sun. America entered WWI because Woodrow Wilson made a secret alliance with Tsarist Russia, Cobra Commander, and a disembodied brain entity from the planet Zorbog. Sound unbelievable? Just a few hundred years ago, so was the concept that the earth revolved around the sun. Come to think of it, this approach is useful in any number of situations. It essentially renders evidence, argumentation, and even perception itself superfluous. This is going to make all our lives so much easier.